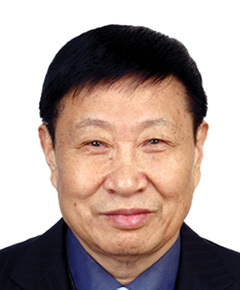 Born in Jingjiang, Jiangsu, China, Xiufan Liu graduated in 1965 from the Department of Veterinary Medicine, North Jiangsu Agricultural Institute. He then was employed in the Veterinary Clinic Centre of the Institute as a veterinarian and lecturer until 1976. He was a senior lecturer from 1977-1986 and has been a professor since 1986 in the Department of Veterinary Medicine, Yangzhou University. He chaired the Department from 1995-2000, and became the Director of the Animal Infectious Disease Laboratory affiliated to the China Ministry of Agriculture (MOA) at the University from 1990-2008. From 1980-1982, he received advanced training at Michigan State University and the Regional Poultry Research Laboratory, ARS, USDA in East Lansing, Michigan. He has been a member of the Chinese Academy of Engineering since 2005. His contributions to veterinary science have been recognized by numerous awards and prizes, including the Distinguished Service Award in 1991 and the National Science and Technology Prize in 2004 from China State Council, First Prize of Science and Technology Award in 1999 from DBN, China Agriculture Elite Award in 2005 from the China MOA, and Prize for Scientific and Technological Innovation in 2006 from the Ho Leung Ho Lee Foundation. He received the Distinguished Service Award from the China Veterinary Poultry Association in 2012 after serving as its vice president for more than 10 years. Xiufan’s work has focused on epidemiology, pathogenesis and control of poultry virus diseases. He has published more than 250 peer-reviewed papers and supervised nearly 100 postgraduate students. He is best known for his work on Marek’s disease, Newcastle disease and avian influenza. Highlights include the development of monoclonal antibodies specific for each of the 3 serotypes of MD virus, contributions to knowledge of the genomic evolution of NDV, and the discovery that the PA gene of the Asian H5N1 highly pathogenic avian influenza virus plays a critical role in its pathogenicity for mice and mallard ducks. He developed and licensed seven poultry vaccines in China, including an H9N2 subtype avian influenza vaccine in 2001 and a reverse genetics-based genotype VII ND vaccine in 2014. Outside work, he is interested in natural history and sport.